Coastal Plain Forests (also called Restinga Forests), defined as forest formations that occur in the coastal plain on a recent marine substrate (Quaternary), are primarily distributed in southern and southeastern Brazil. The Coastal Plain Forests represent one of the faces of the Atlantic Forest biome and are one of the most susceptible to degradation, given the high human pressure in coastal plains. In this work, we reviewed nearly 200 studies addressing the flora and vegetation of Restinga Forests over 70 years, aiming to find knowledge gaps and discuss future directions for these ecosystems. We focused on describing the main ecological drivers of the forest, the flora’s origin, the forest phenological and reproductive patterns, and on discussing the challenges for the conservation of the Restinga Forests. We found that a relatively large body of knowledge on Restinga Forests was accumulated over the last decades. Studies on flora are relatively well distributed in the region, but some gaps are found in some stretches of coastline (in southern littoral) and for specific forest strata (understory and epiphytic, in southeastern littoral). A total of 1588 species were listed for Restinga Forests, including trees (754), epiphytes (253), lianas (165), herbs (185), shrubs (68), and others (163). 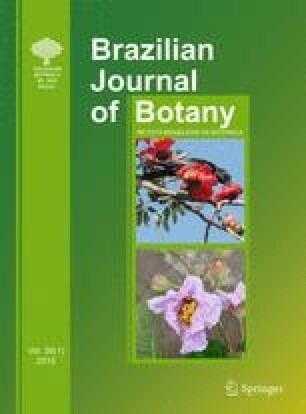 Regarding the flora of the Restinga Forests, 40 % of the species are restricted to the Atlantic Forest region, while 60 % of the species are distributed in other Brazilian ecoregions. These ecosystems are characterized by lower tree diversity when compared to other Atlantic physiognomies; however, studies addressing the processes determining diversity patterns in different scales are still rare. The soil constraints (sandiness, high acidity, low nutrient content, and flooding) strongly limit tree growth but are apparently compensated by a rapid nutrient cycling in the ecosystem and varied morphological and physiological plant adaptations. These forests can be considered seasonal (in reproductive and vegetative phenophases) and apparently depend on animal interactions (seed dispersal). We also found that these systems are highly fragmented and that little attention has been given to ensure the maintenance of its diversity and processes. We suggest that initiatives to ensure integrated and long-term research policies directed toward biodiversity conservation are necessary for these ecosystems. The online version of this article (doi: 10.1007/s40415-015-0132-3) contains supplementary material, which is available to authorized users. We are thankful to all of the researchers who have worked hard over the last 30 years and contributed to our actual knowledge of Restinga Forests. Two anonymous reviewers improved the manuscript with important suggestions. M.C.M.M. received grants from the Brazilian Research Council (CNPq, grants 229349/2013-7 and 304650/2012-9).